Welcome Home Series handlesets are the perfect addition to your front door to create a unique and fashionable entryway to your home. Each is stylishly designed to provide maximum-security protection. There are many styles, finishes and configurations from which to choose. Exquisite design combined with a distinctive profile, the Troy knob executes strength and beauty This privacy knob/lever is best used in interior bed and bath applications where privacy is required. Both knobs/levers are locked or unlocked by turn button inside. The outside knob/lever can be unlocked by an emergency key. The Antique Nickel finish offers a warm feel to the products style. The Schlage Plymouth Knob Keyed Entry Lock in Aged Bronze is perfect for use on doors where locking is needed. The charming Plymouth knob is clean and adaptable. Our Aged Bronze finish is inspired by traditional design, featuring warm, copper tones that break through its darker, aged exterior. Plus, it's been designed and tested with strength and durability in mind. 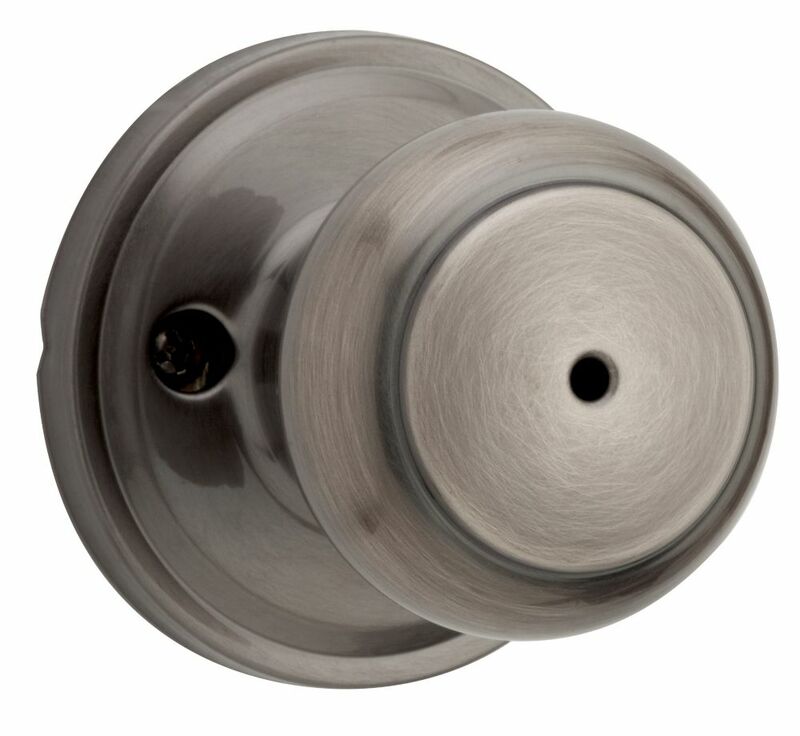 Troy Antique Nickel Privacy Knob Welcome Home Series handlesets are the perfect addition to your front door to create a unique and fashionable entryway to your home. Each is stylishly designed to provide maximum-security protection. There are many styles, finishes and configurations from which to choose. Exquisite design combined with a distinctive profile, the Troy knob executes strength and beauty This privacy knob/lever is best used in interior bed and bath applications where privacy is required. Both knobs/levers are locked or unlocked by turn button inside. The outside knob/lever can be unlocked by an emergency key. The Antique Nickel finish offers a warm feel to the products style.